Few months ago Pakistan was besieged by the enemies; despite of repeated terrorist attacks by Tehreek Taliban Pakistan (TTP), a special group and govt. were stuck to the drama of “Peace Talks”. After every terrorist attack govt. repeated the old stance that govt. would not allow terrorists to high jack peace talks. This unserious attitude of govt. not only fueled pessimism in public but also demoraled army as well. On the one hand a propaganda war was launched against Pak Army and its Intelligence Agencies by a foreign paid media group whereas on the other hand the daily hearings of senior army officials in courts has created a strange situation. Moreover, the friendship at all costs with India under the drama of AMAN KI ASHA the propaganda to brain wash public that armed forces of Pakistan want to continue tension with India. This became the pivotal point of the propaganda of sold out Pakistani media and blaming Pakistan army for all the public problems became the favorite hobby of anchor persons. Astonishingly, in spite of condemning and unveiling foreign elements behind terrorist attacks providing training and weapons to terrorists, media started raising questions against over capability of armed forces to deal with terrorists and failure of army. Why did anyone need to raise questions over professional capability of Pakistani armed forces; I would discuss this later. Here I would like to discuss the civil wars and lawlessness going on in different Muslim countries. Before 2000, there was peace and prosperity in these countries, one could not have imagined that these countries will be destroyed and devastated just within a decade. Ron Paul, Senator US Congress belonging to Republican party, blamed USA and US administration for the genocide in Gaza. Just like Hilary Clinton he also claimed that American policies are responsible for civil war and increasing influence of extremists in Muslim countries. He was of the view that if US exploits Islamic extremists against Russia and CIA exploits Osama Bin Laden for cultivating extremism in Muslim countries then it is OKAY but if Islamists come into power through public support and electoral process, they are termed as enemies and threat to USA, humanity and civilized society. Senator Ron Paul’s complaint to his govt. aside; is not this bitter reality that this is America who destroyed Libya and Iraq under the garb saving public of these countries from dictators and injecting American controlled democracy. Hundreds of thousands innocents were slaughtered for American version of democracy. Now these countries have democracy, parliament and elected govt. explained by Americans but only thing that is missing is PEACE. However, who cares about peace while oil fields are controlled by US and her allies. Were these countries so much weak that they became easy prey? Keep this in mind that America and her allies injected venom of chaos, armed forces of these nations were made disputed and weakened to such an extent that they were even not able to keep law and order situation under control, how could they had faced external aggression. If we look at the history it were Egypt, Iraq, Turkey, Iran and Pakistan whose armed forces were considered threat by Israel as they had number of trained armed personnel. Afterwards, Libya was included in this list as well. World witnessed how Iraq and Libya were destroyed. In the way army toppled elected Islamic government, punishing leaders and sealed Egyptian border adjacent to Gaza at the beck and call of Israel during Israeli state terrorist attacks over Gaza; the credibility of Egyptian had been lowered to Israeli subsidiary and an institute hired to protect Israeli and US interests in the region in the eyes of the public. News reports of thorough checking or removal of even shoes of US envoy is American attempt to restore the image of Egyptian army. Turk Prime Minister had mentioned conspiracies to weaken Turkey in his speeches, various times. Iranian army despite of severe disputes or differences with USA and Israel is not considered a threat; Israel and USA had only objections over the nuclear technology of Iran due to which confrontations continue. 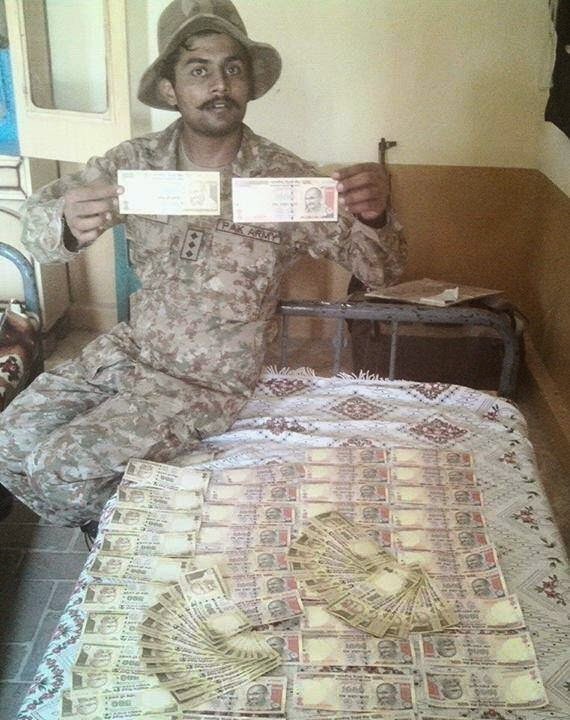 Only Pakistani army remains which is constant target of conspiracies. For example during last ten years attempts to prove Pakistan as a failed state and blaming Pakistan army for all the mess in the country along with terrorism targeting defense installations and soldiers. During these terrorist activities enemies left no stone unturned either to attack nuclear installations or anywhere close to these installations. But enemy had to lick the dust; if anything such like had occurred Pakistan army would have been under attack more severely as compared to foreign media. After removal of foreign funded terrorists from Swat, engaging Pakistan army in North Waziristan was the part of the plan prepared outside Pakistan. 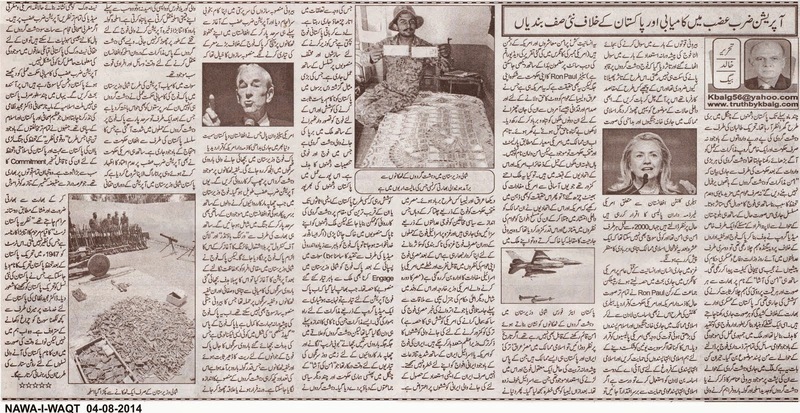 When it was realized that Pakistan army had prepared for the operation; a special media group was given the task to pave way for peace talks (whose failure was forecasted and pre-planned) with terrorists in order to lend time for terrorist to lay down mines, booby traps and dug up underground tunnels for guerilla attacks on Pakistani soldiers during operation. Our rulers entrapped in AMAN KI ASHA and on pressure of some other political parties postponed operation and lent time to terrorists. 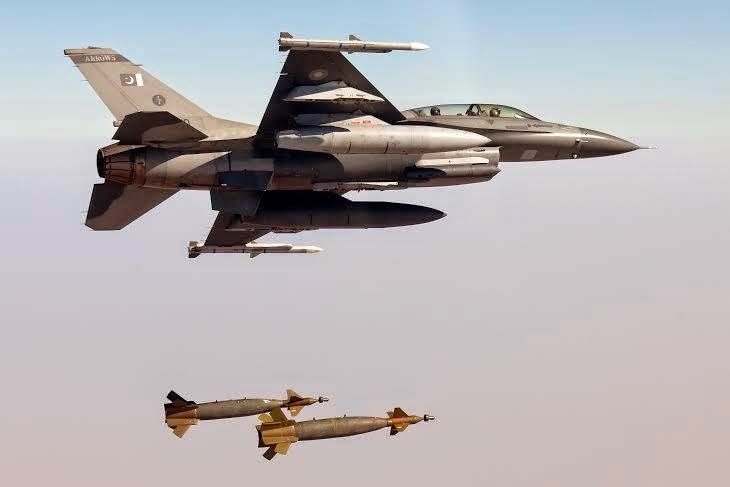 Under the command of external commanders, terrorists completed the tasks and fled to their safe heavens in Afghanistan before start of Operation Zarb-e-Azb and started preparing for big attack over Pak-Army. Commanders of terrorists had planned that Pak Army would trap into mines; during this terrorists hidden in tunnels will attack Pakistan. So Operation would prolong; while army would be engaged with well-trained terrorists or foreign trained commandoes in proper words in North Waziristan, fresh terrorists from Afghanistan would launch big attack over Pakistani (or perhaps foreign soldiers). Moreover, India would start unprovoked firing over Line of Control and blame Pak Army. But when Pakistan army started operation after evacuation of public; first target of Pak army was mines and tunnels dug by terrorists which was nothing less than a nightmare for enemies of Pakistani who planned all this. Now either this was a magic in the hands of Pak army or their professionalism that mines and tunnels proved to be a castle of sand in front of our soldiers. 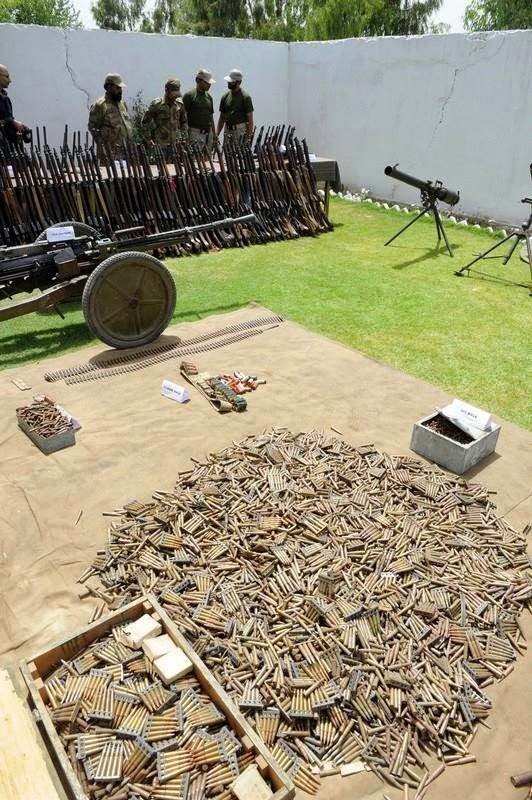 Moreover, the weapons, ammunition and equipment dumped by terrorists in their under hideouts and tunnels shows that they had planned to return; otherwise they had either moved it to Afghanistan as they had time and manpower to do so or destroyed them in spite of leaving it for attacking army. Just like Swat the successful strategy of Pak Army in North Waziristan struck the terrorists and their foreign commanders as a thunder bolt; as a reaction on the one hand terrorist attacks from Afghanistan were intensified which have been continued despite protests of Pakistan with Afghan govt. Moreover, US govt. has also expressed concerns over Operation Zarb-e-Azb and started beating the old triumphant that Pak army should target Haqqani Network as well during operation. In such a situation when all European media is focused on the Operation Zarb-e-Azb; American can get the hair cuts of 700 terrorists through a hair dresser; how cannot they gather any information regarding Haqqani network in tribal areas of Pakistan?